We would like to think that our brain is reliable in its thinking, but that is far from the truth. Our mind adopts a number of cognitive biases that skew our decision-making process. 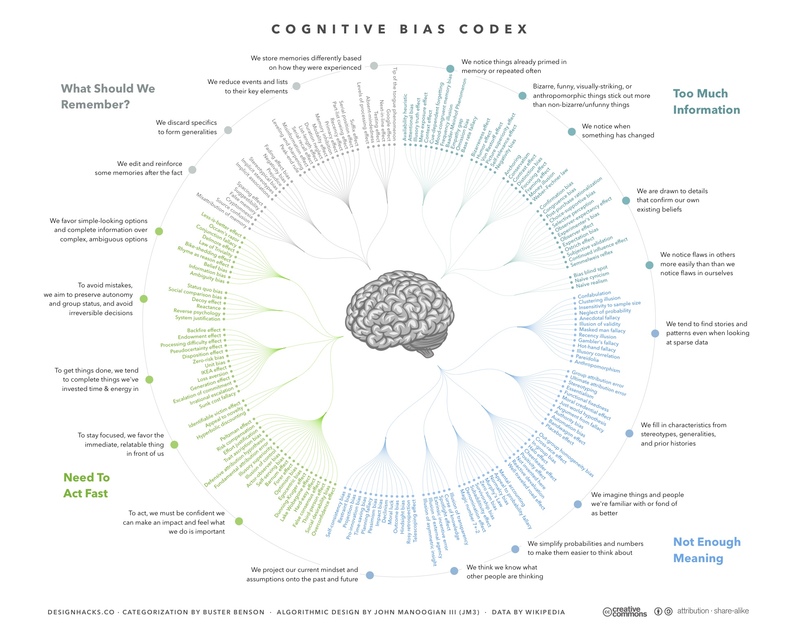 Buster Benson and John Manoogian III recently put together this amazing representation of the various known cognitive biases of the human brain, clustered by categories. You may not want to memorize them all, but we should all take a gander at this illustration once in a while to remember how deeply flawed our thinking is. You can download the file here as well.